Joespeh Pistone was a man who was determined to bring down a crime lord. He was so determined, he struggled with keeping his life together while saving the life of another. Donnie had engaged in small crimes in the beginning to win over the trust of the mob. The inciting incident: Because this film is based on actual events and also where the story picks up, the inciting incident would have occured prior to when this story takes place. For instance, what was driving agent Joe Pistone to sacrifice his life and marriage to bring down a crime lord? Something had to happen to him in the past to incite such passion in him towards fulfilling his mission. PLOT POINT 1: Sonny gets upped, the boss goes to the can, Lefty now works for Sonny Black. Lefty is perturbed about not ever getting upped. Adding insult to injury, he now works for Sonny Black, a man with far fewer years in the biz than Lefty. Sonny Black is a young thug with a hot temper and easy trigger finger whose always looking to take a piece of the action who has little respect for the bosses. We are clearly introduced to the conflict within Lefty’s character which hints at future problems that wait Donnie Brasco. Lefty continues to mentor Donnie on the rights and wrongs of the mob customs. Donnie continues to befriend Lefty gaining his respect and trust. MID POINT: Donnie Brasco throws the tape recorder against the wall destroying it. This symbolizes a transformation that is undergoing within him. Donnie and the FBI don’t exactly have the best relationship. The FBI is visibly not concerned about Joe Pistone’s future as their only concern is the information they are receiving for the case. Lefty is struggling with living up to Sonny’s standards. Lefty continues to mentor Donnie. Donnie struggles with the crimes he witnesses and he continues to pass wire tap tapes to the feds. Donnie is getting in deeper with the mob. Lefty is now wondering if he can trust Donnie after Sonny Black ordered Donnie to represent him down in Miami. Joe Pistone’s wife has changed their phone number at home and now he has no way to contact her. PLOT POINT 2: The Sheriff’s bust up Sonny Black’s night club and take his cash. Sonny has to face his losses and explain it to the big boss. Lefty Brings up the idea that a rat snitched them out from the inside. 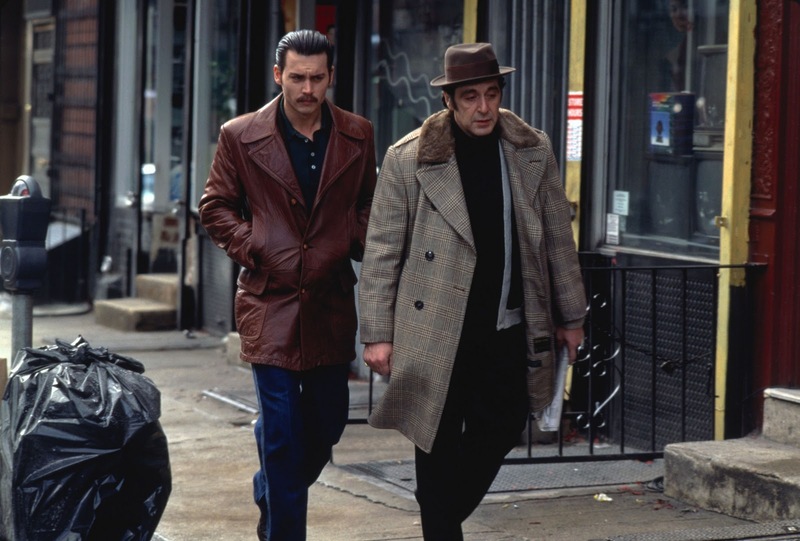 Donnie Brasco is now closer than ever to facing the danger that has feared the most. Nobody knows who to trust. There is uncertainty in the air and Donnie has his doubts about succeeding in his mission. Donnie is surprised to discover that Sonny and the others suspected Nicky was the rat after Lefty shot him. CLIMAX: Lefty suspects Donnie is a rat, but he is uncertain so he forces him to kill a man in cold blood. Donnie is faced with the decision of taking another man’s life or risking his own until the FBI raids the boat launch finally pulling Donnie Brasco out of the scene. 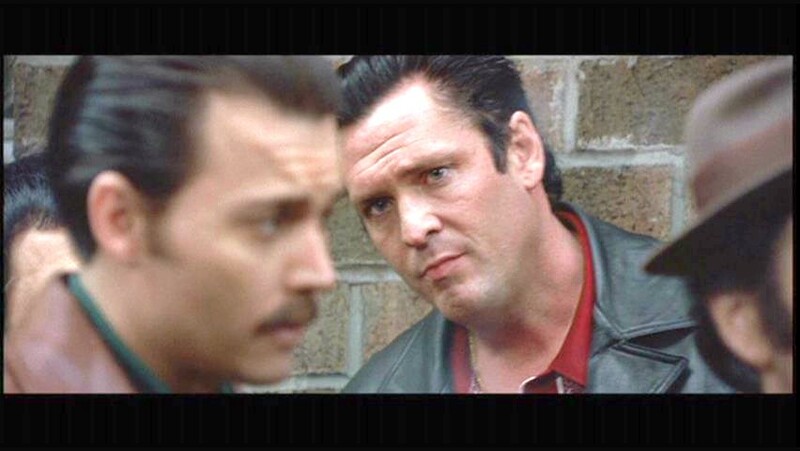 The FBI subsequently informs the mob that Donnie Brasco was an undercover agent the whole time. END POINT: When a mans will and desire precedes his own life and personal well being, and the ultimate sacrifice becomes his life, he would stand the test to do anything to fulfill his mission. When I first saw this film years ago, I was couldn’t understand how a man after sacrificing so much could walk away with a $500 check, but then I realized that if Joe Pistone had did it for the money, would he be that much more different than the criminals he was fighting. It was risky business for Donnie Brasco to not take off his shoes in the Japanese restaurant and he was lucky Sonny Black wasn’t tipped off to the wire he was wearing. He had jumped so many hurdles that being alive after this ordeal was reward enough although his life would never be the same.